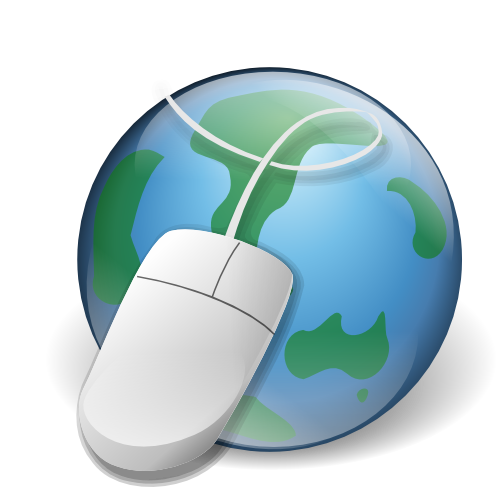 Teaching FSL: Teacher-Bloggers OUTSIDE of the USA? Who knew!?! Teacher-Bloggers OUTSIDE of the USA? Who knew!?! My blog post title is totally tongue-in-cheek of course, but sometimes it DOES feel like almost all of my bloggy friends are located in our friendly neighbour country rather than here at home. That's why I'm really excited about the possibilities of who I might meet in this link-up party. 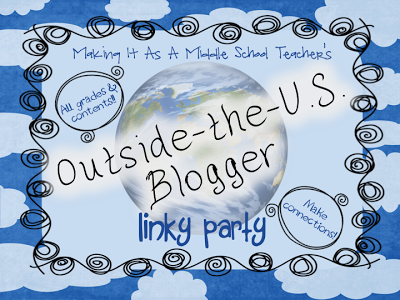 Michelle Lundy at Making It as a Middle School Teacher always has the most original linky ideas. (Note to self... ask Michelle HOW she gets those creative networking juices flowing!) I'd love for you to join me if you have a Canadian teacher blog to share, or if you teach French in any corner of the world! 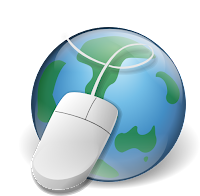 This link up is open to any teacher-blogger outside of the USA, at any grade level, any subject or specialty area. The instructions are really easy to follow, so I'll be checking back in to meet you! Thanks so much for being such a great bloggy friend and for linking up with me! Tammy - every time I visit your blog I fall in love with your blog design all over again. Love the colours!! Congratulations on being sooo close to 100 followers! Thanks - I fell in love with it too (which caused me to fork over a little bit of money, but it was worth it!) Honey Bunch Designs went above & beyond for me! Oooo!! Tres bien!!! 100th follower!!! Love your blog!! thanks for directing me. I haven't checked my blogger reader in over a week, and instead of reading the over 1000 posts, I marked all as read, since I knew I'd NEVER ever catch up. I hear you on that issue. I think I may have to throw in the towel and do the same thing... otherwise I'll get depressed when I see that I missed some flash freebies or something else cool!